"ExxonMobil's second quarter earnings excluding special items were a record $11,970 million, up 17% from the second quarter of 2007. Earnings per share excluding special items were up 24% reflecting the impact of the continuing share purchase program. Net income for the second quarter was $11,680 million, up 14% from the second quarter of 2007. Net income included an after tax special charge of $290 million reflecting the $508 million maximum punitive damages set by the recent Supreme Court ruling in the Valdez litigation. Record crude oil and natural gas realizations were partly offset by lower refining and chemical margins, lower production volumes and higher operating costs. First half earnings excluding special items increased by 17% over the first half of 2007 reflecting higher crude oil and natural gas realizations. Net income for the first half of 2008 was up 16% versus 2007. "ExxonMobil increased investments across all business lines to help meet global demand for crude oil, natural gas and finished products. Capital and exploration project spending increased to $7.0 billion in the second quarter, up 38% from last year. For the first half of 2008, spending on capital and exploration projects was $12.5 billion. Earnings excluding special items were a record $11,970 million, an increase of 17% or $1,710 million from the second quarter of 2007. Earnings per share excluding special items were up 24% to $2.27 reflecting strong earnings and the continued reduction in the number of shares outstanding. Net income was a record at $11,680 million, up 14% from the second quarter of 2007. Second quarter 2008 net income included an after tax special charge of $290 million reflecting the $508 million maximum punitive damages set by the recent Supreme Court ruling in the Valdez litigation. The effective income tax rate increased to 49% versus 44%. Capital and exploration expenditures were $7.0 billion, up 38% from the second quarter of 2007. Cash flow from operations and asset sales was approximately $14.6 billion, including asset sales of $1.2 billion. Share purchases of $8.0 billion reduced shares outstanding by 1.7%. ExxonMobil launched a new synthetic motor oil, Mobil 1 Advanced Fuel Economy, that can improve fuel efficiency in modern gasoline engines and benefit the environment by reducing greenhouse gas emissions. ExxonMobil announced plans to complete development and testing of a commercial demonstration plant near LaBarge, Wyoming using its Controlled Freeze ZoneTM technology. If successful, this technology will assist in the development of additional gas resources to meet the world’s growing demand for energy and facilitate the application of carbon capture and storage to reduce greenhouse gas emissions. ExxonMobil announced plans to begin commercial evaluation of unconventional hydrocarbon potential covering 184 thousand acres and exploration activities on an additional 387 thousand acres in the Mako Trough in southeast Hungary. Upstream earnings were $10,012 million, up $4,059 million from the second quarter of 2007. Record crude oil and natural gas realizations increased earnings approximately $6.1 billion. Lower sales volumes decreased earnings about $1.7 billion. Higher operating costs and increased taxes also reduced earnings. On an oil-equivalent basis, production decreased 8% from the second quarter of 2007. Excluding impacts related to the Venezuela expropriation, the Nigeria labor strike and lower entitlement volumes (which include price and spend impacts and PSC net interest reductions), production was down about 3%. Liquids production totaled 2,393 kbd (thousands of barrels per day), down 275 kbd from the second quarter of 2007. Excluding the Venezuela expropriation, the Nigeria labor strike and lower entitlement volumes, liquids production was down just over 2%, as increased production from projects in west Africa and the North Sea was more than offset by mature field decline and higher maintenance activity. Downstream earnings of $1,558 million were down $1,835 million from the second quarter of 2007 as lower margins reduced earnings by $1.9 billion, driven by significantly lower worldwide refining margins. Petroleum product sales of 6,775 kbd were 199 kbd lower than last year's second quarter, mainly reflecting asset sales and lower demand. Chemical earnings of $687 million were $326 million lower than the second quarter of 2007. Lower margins, which reduced earnings approximately $500 million, were partly offset by favorable foreign exchange and tax effects. Prime product sales of 6,718 kt (thousands of metric tons) in the second quarter of 2008 were 179 kt lower than the prior year. Corporate and financing expenses of $287 million, excluding the charge related to the Valdez litigation, increased by $188 million, mainly due to tax items and lower interest income. During the second quarter of 2008, Exxon Mobil Corporation purchased 98 million shares of its common stock for the treasury at a gross cost of $8.8 billion. These purchases included $8.0 billion to reduce the number of shares outstanding, with the balance used to offset shares issued in conjunction with the company's benefit plans and programs. Shares outstanding were reduced from 5,284 million at the end of the first quarter to 5,194 million at the end of the second quarter. Purchases may be made in both the open market and through negotiated transactions, and may be increased, decreased or discontinued at any time without prior notice. Net income of $22,570 million ($4.25 per share) was a record and increased $3,030 million from 2007. Excluding special items, earnings for the first half of 2008 were $22,860 million, an increase of $3,320 million from 2007. Earnings excluding special items were a record $22,860 million, up 17%. Earnings per share excluding special items increased 25% to $4.30, reflecting strong business results and the continued reduction in the number of shares outstanding. Net income was up 16% from 2007. Net income for the first half of 2008 included an after tax special charge of $290 million reflecting the $508 million maximum punitive damages set by the recent Supreme Court ruling in the Valdez litigation. Net income for the first half of 2007 did not include any special items. Cash flow from operations and asset sales was approximately $36.4 billion, including $1.6 billion from asset sales. The Corporation distributed a total of $20.0 billion to shareholders in 2008 through dividends and share purchases to reduce shares outstanding, an increase of $2.2 billion versus 2007. Year to date dividends per share of $0.75 increased 12%. Capital and exploration expenditures were $12.5 billion, an increase of 35% versus 2007. Upstream earnings were a record $18,797 million, up $6,803 million from 2007. Record high crude oil and natural gas realizations increased earnings approximately $10.5 billion. Lower sales volumes reduced earnings about $2.5 billion. Higher taxes, increased operating costs and lower gains on asset sales decreased earnings approximately $1.2 billion. On an oil-equivalent basis, production decreased 7% from last year. Excluding impacts related to the Venezuela expropriation, the Nigeria labor strike and lower entitlement volumes, production was down 2%. Liquids production of 2,431 kbd decreased 276 kbd from 2007. Excluding the Venezuela expropriation, the Nigeria labor strike and lower entitlement volumes, liquids production was down 3% as field decline in mature areas more than offset project volume increases. Downstream earnings of $2,724 million were $2,581 million lower than 2007. Lower worldwide refining and marketing margins decreased earnings approximately $2.9 billion while higher operating costs reduced earnings about $300 million. Improved refinery operations increased earnings about $600 million. Petroleum product sales of 6,798 kbd decreased from 7,085 kbd in 2007, mainly reflecting asset sales. Chemical earnings of $1,715 million decreased $534 million from 2007. Lower margins, which decreased earnings approximately $800 million, were partly offset by favorable foreign exchange and tax effects. Prime product sales of 13,296 kt were down 406 kt from 2007. Corporate and financing expenses of $376 million, excluding the charge related to the Valdez litigation, increased by $368 million, mainly due to lower interest income, higher corporate costs and tax items. Gross share purchases through the first half of 2008 were $18.2 billion, reducing shares outstanding by 3.5%. ExxonMobil will discuss financial and operating results and other matters on a webcast at 10 a.m. Central time on July 31, 2008. To listen to the event live or in archive, go to our website at exxonmobil.com. Statements in this release relating to future plans, projections, events or conditions are forward-looking statements. Actual results, including project plans, could differ materially due to changes in long-term oil or gas prices or other market conditions affecting the oil and gas industry; political events or disturbances; reservoir performance; the outcome of commercial negotiations; wars and acts of terrorism or sabotage; changes in technical or operating conditions; and other factors discussed under the heading "Factors Affecting Future Results" on our website and in Item 1A of ExxonMobil's 2007 Form 10-K. We assume no duty to update these statements as of any future date. References to quantities of oil expected to be developed may include amounts not yet classified as proved reserves but that we believe will ultimately be produced. Consistent with previous practice, this press release includes both earnings excluding special items and earnings per share excluding special items. Both are non-GAAP financial measures and are included to help facilitate comparisons of base business performance across periods. A reconciliation to net income is shown in Attachment II. The release also includes cash flow from operations and asset sales. Because of the regular nature of our asset management and divestment program, we believe it is useful for investors to consider sales proceeds together with cash provided by operating activities when evaluating cash available for investment in the business and financing activities. A reconciliation to net cash provided by operating activities is shown in Attachment II. 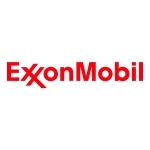 Further information on ExxonMobil's frequently used financial and operating measures and other terms is contained under the heading "Frequently Used Terms" available through the Investors section of our website at exxonmobil.com.